Monterey Boats enters the wakeboarding and wake surfing market with its new 218SS Roswell Surf Edition. Over the years, runabout manufacturers have eyed the growth in the towed sports market—and likely the profit margins—and attempted to turn some of their products into watersports-oriented models. The end results were usually short of spectacular and something no hard-core wakeboarder would consider. But now things are different, thanks to the recently introduced Volvo Penta Forward Drive, a stern-drive unit that turned the propulsion around 180 degrees. By putting the Duo-Prop setup facing forward instead of aft, Forward Drive changes the dynamic considerably. Whereas a traditional stern drive wouldn’t keep a boat on plane at wakeboarding speeds or would cavitate the propellers, the new Forward Drive has more bite in the water because the props are under the keel. It can actually pull the boat down into the water, which is critical to creating a big footprint that throws large wakes behind the boat. 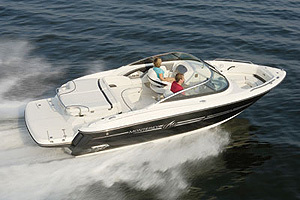 Plus, by locating the propeller far forward of the transom, the surfer’s safety gets a boost. 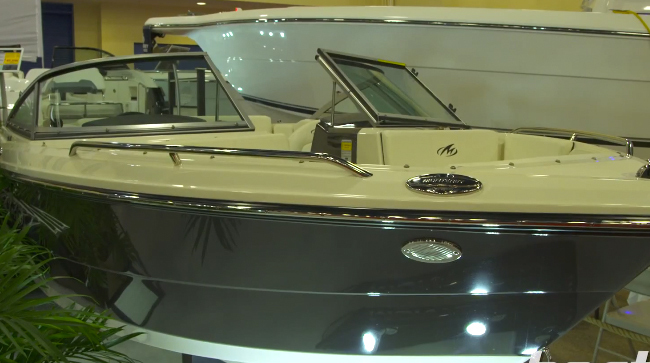 Recognizing the power of the Forward Drive to expand its model line, Monterey Boats has capitalized on it with the introduction of its new 218SS Roswell Surf Edition. 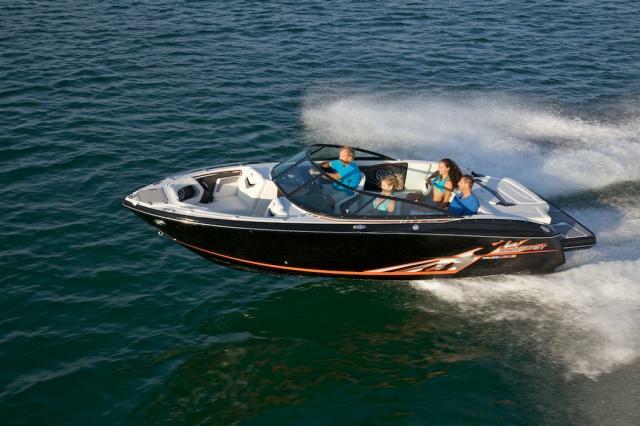 The addition of Forward Drive can turn a stern drive runabout into a true wake sports boat. On top of that, you have the custom Roswell graphics, with color-matched tower and upholstery accents. 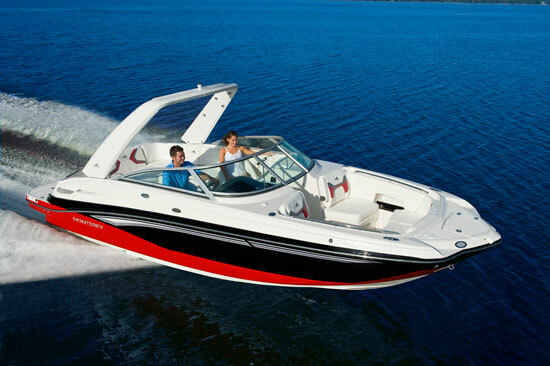 The 218SS Roswell Surf Edition boats come standard with Roswell tower speakers, amplifiers, board racks, and mirror. 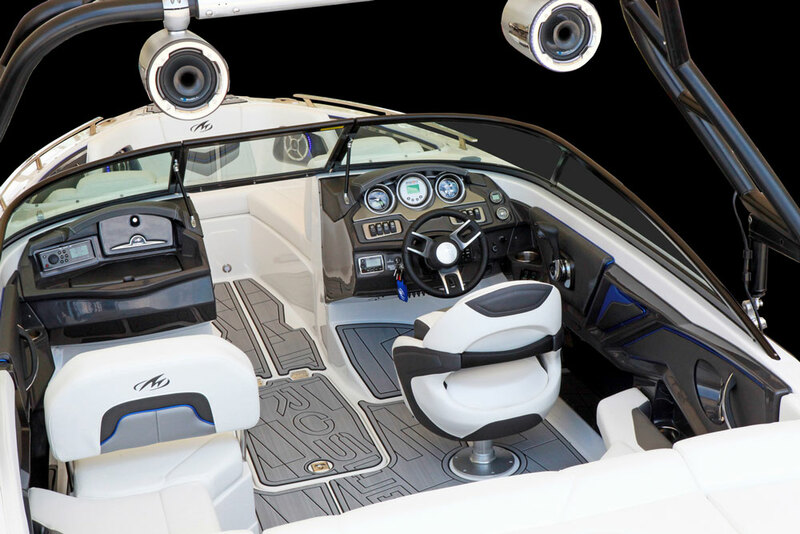 Roswell Marine is known for its wakeboarding towers, lighting, marine audio, and accessories, so it’s clear Monterey found the right partner for these new models. What’s most endearing about the new boats is that they can be ordered in standard trim and be ready for duty. 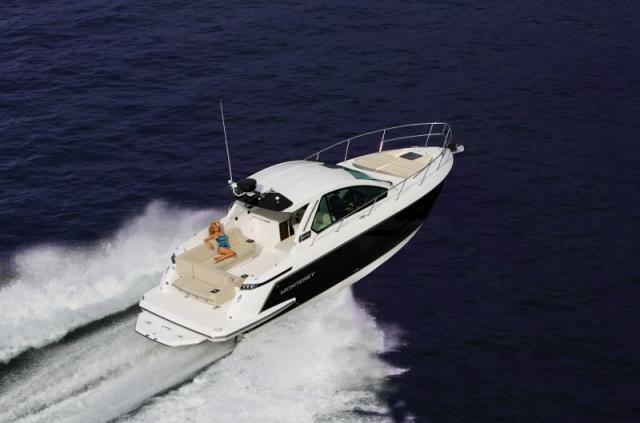 They come standard (base price for the 218SS is $78,124) with Zero Off speed control, the wakeboard tower, board racks, a Bimini top, the Forward Drive with a 280 HP V6 engine, and a 1,700-pound ballast system. The 218SS is available with a V8, too, and it’s only a $2,222 up-charge. Money well spent. The base boat comes well rigged, and ready for immediate action. So, the Forward Drive gets you the footprint in the water that a traditional stern drive never could and thanks to Monterey’s choice in Roswell Marine, the new 218SS is poised to deliver a solid watersports platform. However, because it’s a stern drive, you also get the ability to trim, plus the steering, handling, and backing ability that inboards don’t have. 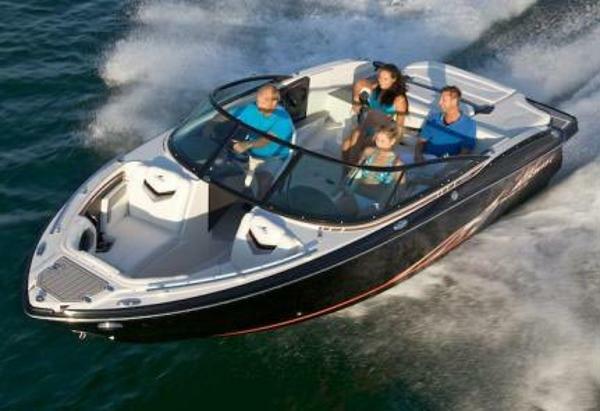 Yes, they’re geared toward watersports, but they are still multi-function boats. According to Rusin, the Roswell Surf Edition package will also be offered on Monterey’s M series. It seems Monterey might be on to something. 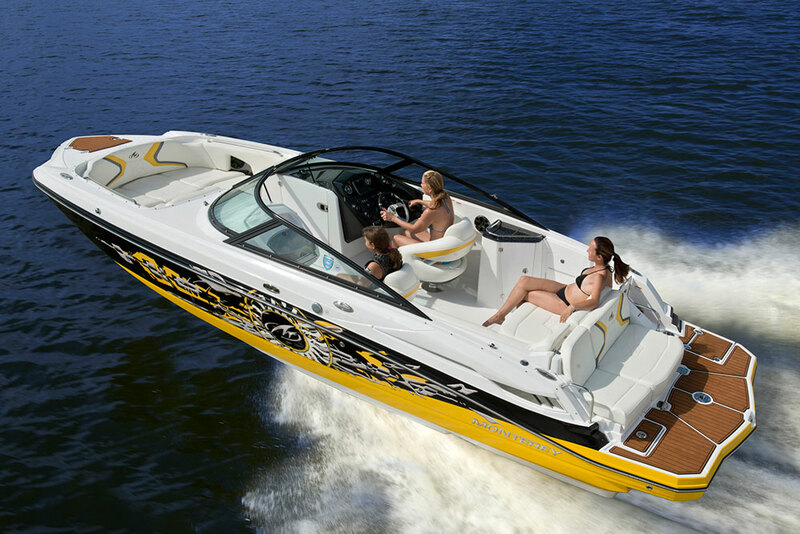 Other Choices: The Regal 2100 RX Surf is another stern drive surf boat rigged with Forward Drive. Other competitors in this field include the Four Winns TS222, and, though it’s a bit larger, the Bryant 233X.